I suddenly realized that I will never be as cool as my parents. Note: These are not Instagrammed. This is the real color of the photos now. Ha! It needs to be said that I just love 70's fashion. 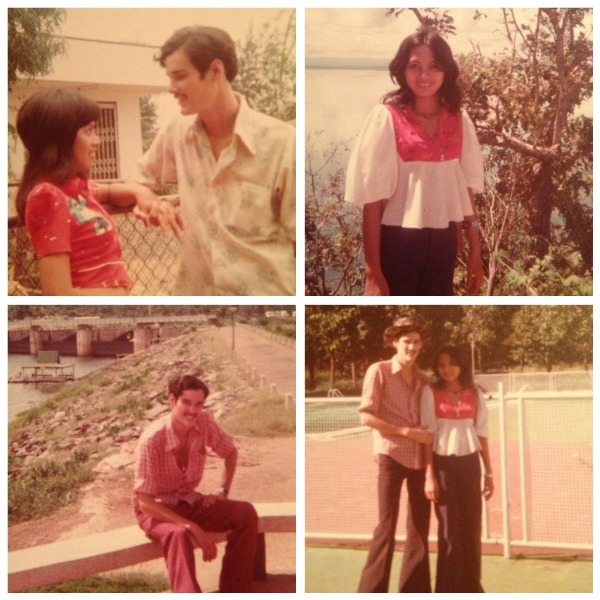 I would wear my mom's white blouse and those wide legged pants in a heartbeat. She was (and still is) so fashionable! My dad died while serving in the army when I was three, so Memorial Day is always a bittersweet day for me. I enjoyed a cookout with some City Life friends yesterday, and came home and thumbed through this photo album, marveling over how cool my parents looked 40 years ago.